Learn to invest with Trade Brains' exclusive articles. Mutual Fund investment is the talk of the town. These days, many people who earlier used to invest in the traditional saving schemes like PPF and FD are showing more interest in investing in Mutual Fund. Ideally, if you don’t have a good knowledge of analyzing the security market, instead of directly investing in stocks, buying through Mutual Funds is a lot safer and more convenient. For the middle-class Indians, Mutual Fund investing is a wonderful way of fulfilling their desired goals. You can even start investing with as low as Rs 500 per month. Irrespective of these advantages, there are many people- especially novice investors, who make a plethora of mistakes investing in Mutual Funds. In this post, we are going to discuss ten of the most common mistakes while investing in mutual funds. 1. Not defining any goal: You should clearly define your financial goals before you jump into Mutual Funds. One requires specifying his/her short and long term goals before deciding over the investment portfolio. If you are planning to go for a tour abroad after a year from now, investing in a Debt Fund seems more appropriate. On the other hand, if you wish to retire after 30 years from today, you should set up your SIPs in an Equity Fund to have a large corpus in hand during your retirement. 2. Not researching the fund properly before investing: Investing in the financial market makes no sense if you haven’t done proper research. Before investing in a Mutual Fund scheme, you need to know its fund type, exit load, historical returns, asset size, expense ratio, etc. You need to have a clear idea about your own risk-return profile before you invest your savings in some scheme. This article can provide you with the necessary guidance regarding making the selection of the right Mutual Fund. 3. Reacting to short term market fluctuations: There are many investors who get scared when the market witnesses a bearish trend. You need to understand that Mutual Fund investing is basically meant for generating long term wealth. So, you should not react to any sharp correction in the market or short term volatility. Moreover, you should refrain from blindly following the stock market analysts and business channels on television. If you don’t keep yourself away from the noise, your chances of making larger returns from Mutual Funds will decrease. 4. Not having a long-term mindset: People generally invest in the Equity Funds to make huge money. Equity Funds can only generate long term wealth if you stay invested for a substantially long period of time. Many people sell their funds losing their enthusiasm and patience after suffering from short term losses. This doesn’t make any sense if you are aiming for quick money from an Equity Fund scheme. 5. Waiting for the perfect time to start investing: I have recently talked to some friend, to whom I had explained about Mutual Fund investing a year back. I was taken aback knowing that he is yet to start investing. He still couldn’t commence investing because he has been looking for the perfect time to invest. I must tell you that when it comes to investing, you should never think of timing the market. Timing the market is important only when you look to trade, and not invest. The market goes through several ups and down in order to reach to point B from point A over a significant period of time. 6. Not having an emergency fund: Many investors invest their entire savings in the Mutual Funds at one go. Therefore, it goes without saying that they don’t have sufficient money for meeting emergencies like medical expenses. So, for paying such expenses, they have no option but redeeming their units and end up paying exit load. Exit load is one type of charge which is levied by a Mutual Fund company if you redeem any units within a specific period of time from the date of investment. 7. Inadequate investment amount: In case of Mutual Fund investing, you should increase your SIPs in accordance with the growth in your income. Many investors don’t understand the importance of this. Therefore, their SIPs remain the same over time and fail to generate their desired wealth in the long run. Moreover, the inflation rate goes up with time. So, this is also a reason that one should step up his/her SIPs with time to achieve the desired corpus. 8. The dilemma of dividend funds: You will find many people opting for Dividend based Mutual Funds. This is to be noted that the dividends from a Mutual Fund are paid to the investors out of that fund’s AUM. This results in decreasing the NAV of the units of such Mutual Fund. Mutual Funds work best only if you stay invested for a significant term and let the power of compounding play its role. So, if you invest in a growth plan instead of a dividend plan, the amount which you are not going to receive as the dividend is reinvested in the market. This results in creating more wealth in the future as compared to the earlier plan. 9. Not diversifying your mutual fund portfolio enough: When an investor invests in too many schemes of a particular type, he/she thinks that diversification is achieved. You should understand that each Mutual Fund scheme is a portfolio of diversified securities in itself. Therefore, investing in multiple schemes of a specific nature results in nothing but portfolio overlapping at a higher expense ratio. Instead of opting for it, investing in 2 or 3 schemes to the maximum helps in achieving the benefit of diversification. 10. Not monitoring your fund’s performances periodically: Among the investors who invest in the market regularly, only a few them track their investments periodically. If you review the performance of your portfolio timely, it would keep you aligned with your financial goals. Lack of periodic evaluation of funds results in keeping your portfolio filled with junk investments which keep pulling your mean portfolio returns down. The Beginners Guide to Select Right Mutual Funds in 7 Easy Steps. Growth vs Dividend Mutual Funds: Which one is better? Mutual Fund Taxation – How Mutual Fund Returns Are Taxed in India? AMFI came out with the campaign “Mutual Funds Sahi Hai” two years back. This four words campaign means that Mutual Funds are good in all respects. The main objective of this campaign was to create awareness among the Indians regarding Mutual Funds and bring more investors in the stock market. However, it doesn’t mean that you can invest in any Mutual Fund scheme blindly. 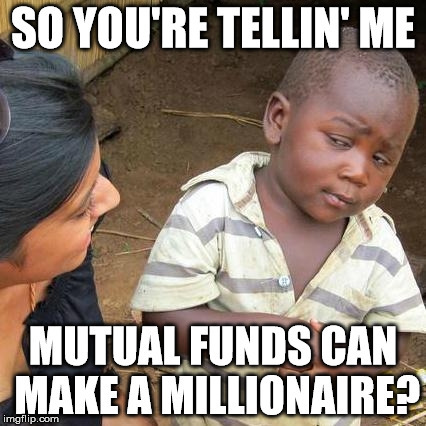 You must have heard this famous dialogue, “Mutual fund investments are subject to market risks. Please read all scheme-related documents carefully before investing.” Mutual Funds investments don’t guarantee a fixed return. You need to go through all relevant documents and analyze the key aspects of a scheme, before investing in the same. 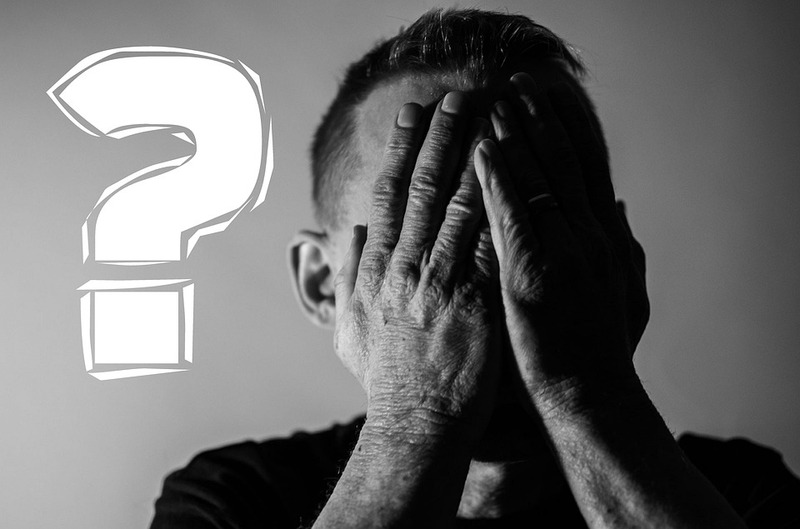 In this post, we tried to cover some major mistakes which a plenty of investors make while investing in Mutual Funds. If you prevent yourself from committing these mistakes, we hope that you would become a better investor in the long run. Happy Investing! What is Private Equity? And how does it work? Are REITS in India a worthy investment option? Equity Valuation 102: What is Value? Micro vs Macro Economics -What’s the Difference? What are the Different Career Options in Indian Stock Market? What is the Difference Between DVR and Normal Share? Trade brains is a financial education blog focused to teach stock market investing and personal finance to the DIY (do-it-yourself) Investors.